As the universe materialized out of the spark of creation, sound and light took form and shape, and these are the forms and shapes with which we live. Through physical consciousness, by identifying with the unknown, we break through the darkness and become a stream of light. Vera Sell-Ryazanoff lived her youth in Moscow during the Soviet communist regime. Her individuality and unique view of the world kept her untouched by the prevailing materialism and indoctrination. Coming from a family steeped in a rich tradition of cultural and intellectual heritage she developed her own unique reality which did not fit into the Soviet worldview. Individual self expression, creativity, and the search for the everlasting values of human existence became her main hallmarks. When other children played games, little Vera collected pieces of wood and sculpted figures. At the age of 16 she won a national contest for small sculptures which were subsequently exhibited in Moscow and Paris. After being arrested at the infamous 1974 “Bulldozer-Exhibition” in Moscow, her artistic career became problematic. Soon after she married a German diplomat and left the Soviet Union. During her formation at the Surikov Moscow Art Institute she followed her own path, influenced by the old masters of the Renaissance. Although she considered avant-garde, social-realism, abstract and other schools, they all left her with a feeling of dissatisfaction. For Vera Sell-Ryazanoff, art has a dimension which is not satisfied with rendering the moment, a social ideal or a concept; there has to be more to it – something which transcends the moment. Although a gifted painter for other subjects as well, she concentrated on portraits and the human body beyond the physical dimension. Her paintings enter a timeless dimension where essence, purpose, and original beauty bring us to a moment of longing and perception of who and what we really are. Over the years her work has brought her international acclaim, both from critics and collectors. She currently lives and works in Nuthetal close to Berlin (Germany). She has lived and exhibited in Germany, Canada, Portugal, Australia, France, Italy, Morocco, South Korea, and Switzerland. While in Australia, she designed the stage set and choreographed four operas. Her career has spanned over forty solo exhibitions across ten countries. 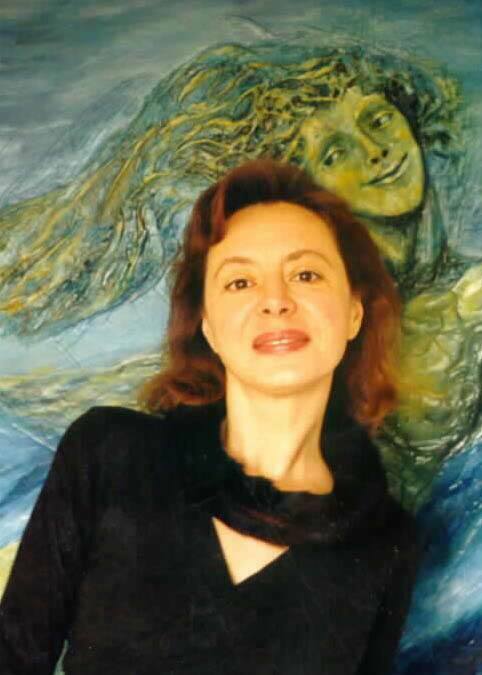 She has exhibited at the Vatican in Rome at the Galleria l`Agostiniana (the Gallery for Sacred Art), in Paris where Mstislav Rostropovich opened her exhibition, in Switzerland at the Chateau d`Allaman, and the Art Center Berlin, where she won critical acclaim for her work.